I like pink breakfast foods and I don’t think there’s really much else to say. Step 1: Whisk together the ingredients for the cheesecake filling and spoon 6 spoonfuls onto a lined baking sheet. Spread each spoonful out into 2 inch diameter circles (see photo). Freeze for 30 minutes until solid. Step 2: To make the pancakes, in a medium mixing bowl whisk together flour, baking powder, sugar and salt. Set aside. 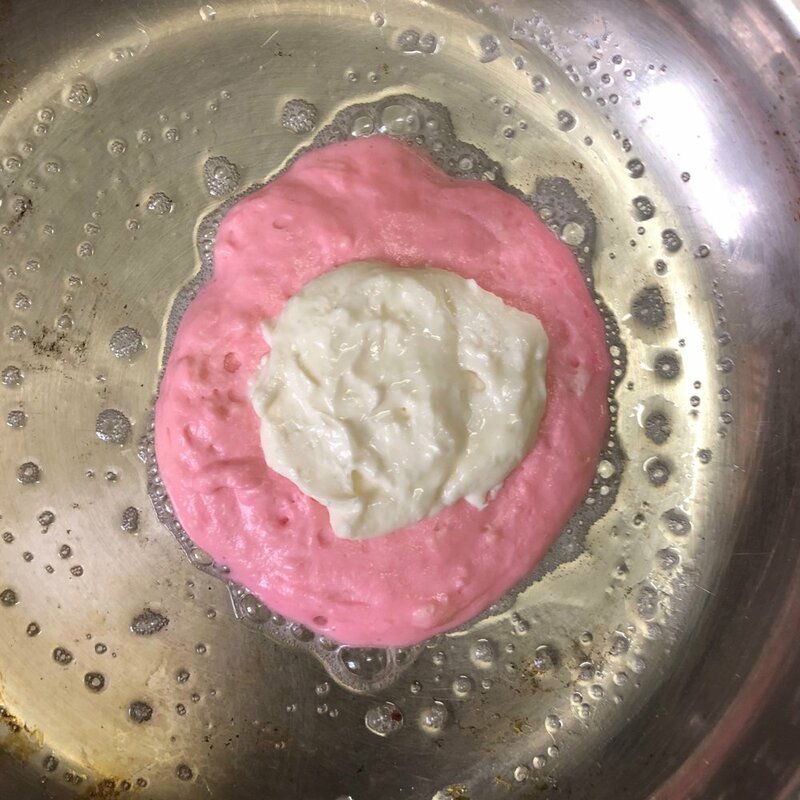 Step 3: In a different bowl, whisk together melted butter, buttermilk, vanilla, egg and pink food coloring. Step 4: Mix together the wet and dry ingredients until just combined. Step 5: Heat a pan on medium low and spoon 1/8 cup batter into the greased pan. Immediately place one of the frozen cheesecake rounds in the middle of the batter, lightly press it down, then completely cover with additional batter. 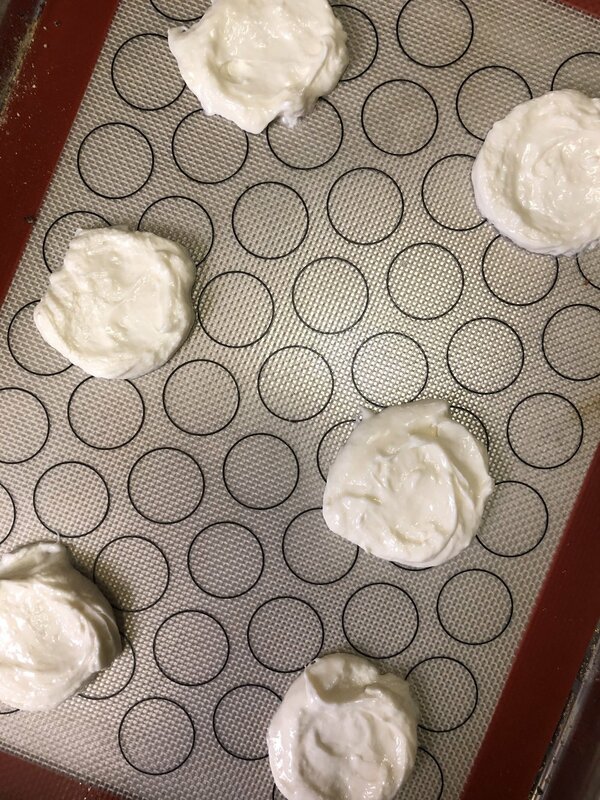 Cook until air bubbles begin to form in the batter, then flip and cook the other side. Step 6: Let the pancakes cool slightly and then serve fresh! To dress them up, add whipped cream and strawberries.